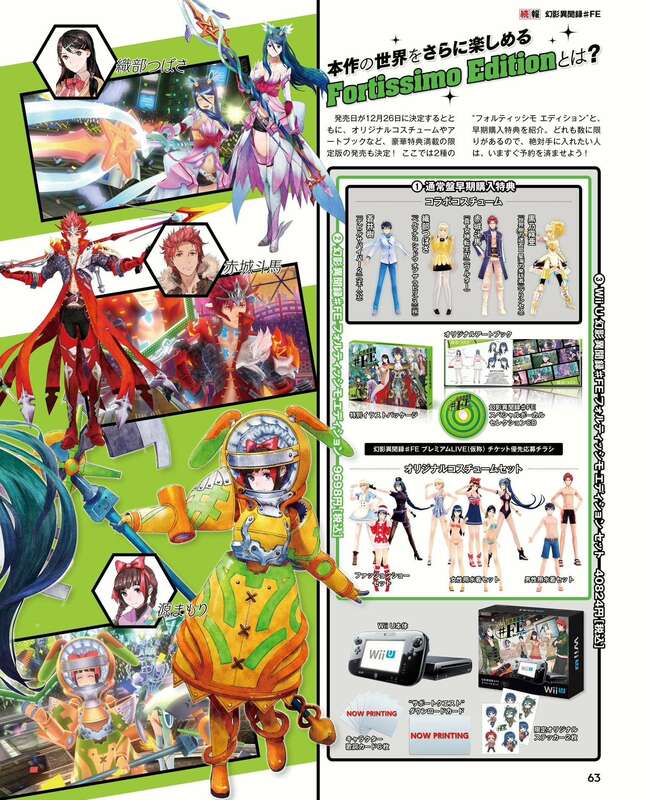 Update (2015-09-30): Information from the latest issue of Famitsu has been translated via Nintendo Everything. 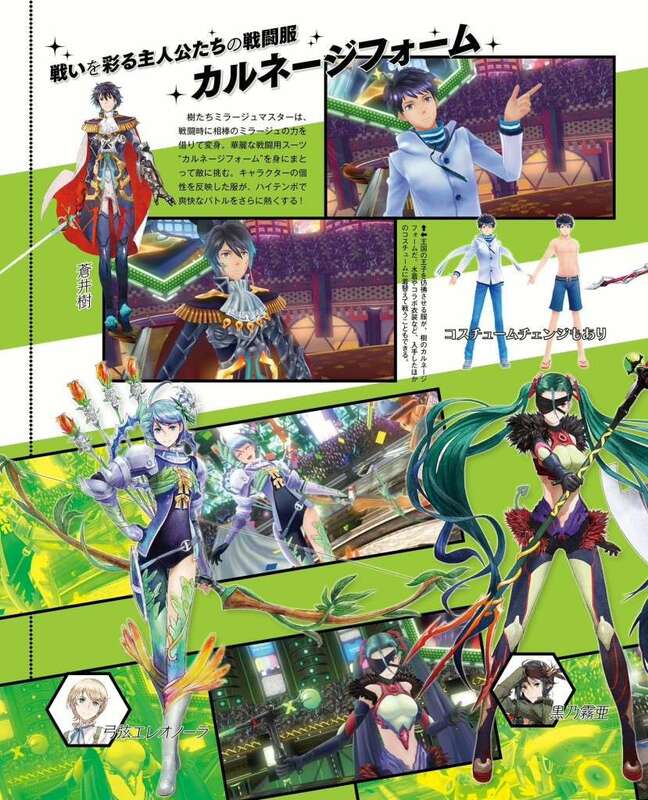 New Weekly Famitsu magazine scans for issue F1400 have surfaced for Genei Ibun Roku #FE, showing off the two new characters Mamori and Barry, as well as the new Fire Emblem inspired mirages Tharja, Virion and Draug. 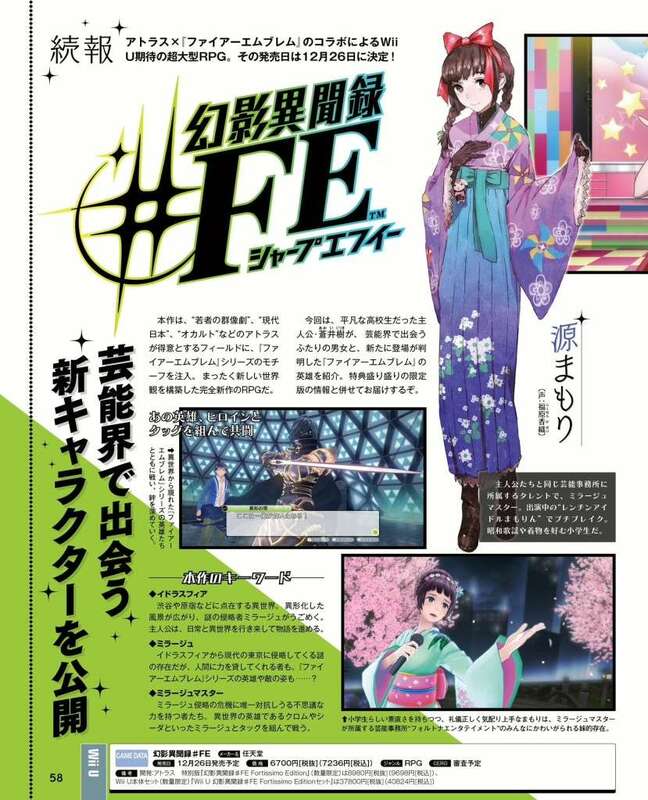 This follows the Famitsu leak earlier this week for new Genei Ibun Roku #FE information. 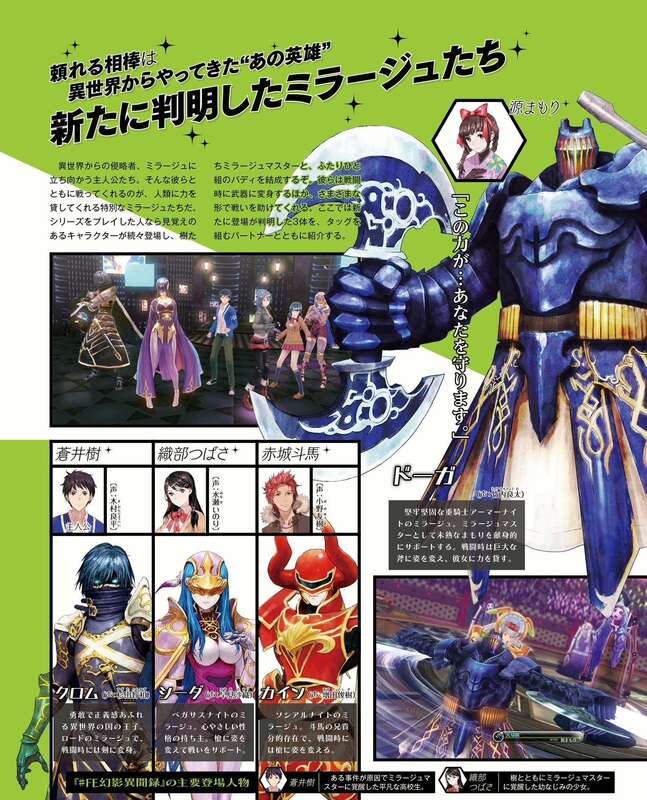 There are a few keywords for Genei Ibun Roku #FE like “Idolsphere”, “Mirage”, and “Mirage Master”. 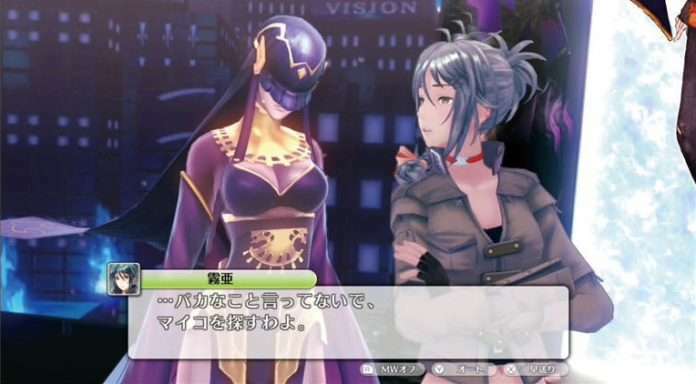 The Idolsphere is an alternate version of cities such as Shibuya and Harajuku where the Mirages come from. As for the plot, it’s about an average protagonist who stumbles into such a world. Mirages are mysterious beings from the Idolsphere dimension that lend their power to humans. Of course, they look like Fire Emblem series’ heroes and villains. 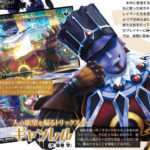 Mirage Masters, who receive aid in battle from heroes such as Chrom and Sheeda, are those who hold a mysterious power that allows them to utilize Mirages by summoning them. 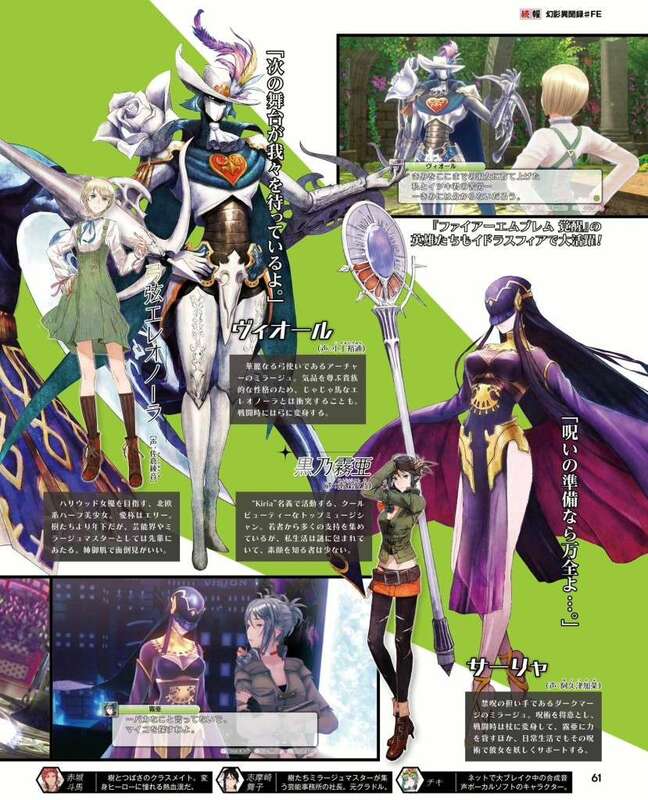 Mamori Minamoto, voiced by Kaori Fukuhara, is one of the new characters introduced by Famitsu. She’s a talented Mirage Master who works in the same entertainment district as the protagonist. Mamori had a small break to fame as the “Wrenchin’ Idol Mamorin”. We also know that she’s a middle schooler who loves to sing Showa ballads and wears traditional clothing. Barry Goodman is another new character, and he’s voiced by Yuuichi Nakamura. Barry is a musician who came to Japan seeking Otaku culture (loves the anime “Dear Witch Mother” by the way!) 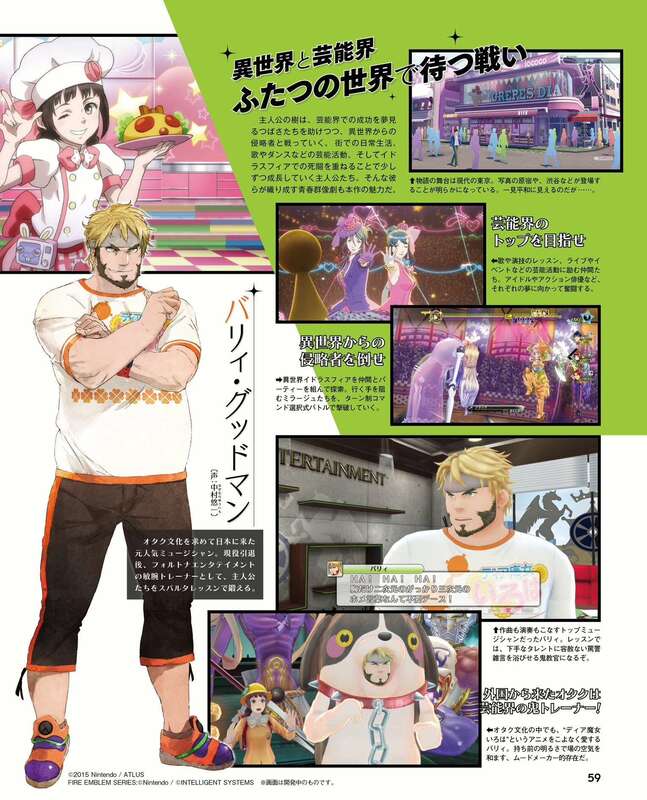 He’s a trainer of Fortuna Entertainment, and teaches the protagonist and others Spartan-like lessons. Famitsu describes him as a strict teacher from abroad named the “Demon Instructor” in the entertainment world. 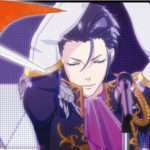 Thanks to his bright demeanor that makes any place feel at ease, he’s a “mood-maker”. Genei Ibun Roku #FE’s two worlds – the Entertainment and Other World – have their own battles. In the Entertainemnt World, it’s a modern Tokyo setting that looks peaceful. Allies here are involved in entertainment lessons, live shows, and other events. The “Other World” has players defeating invaders by summoning allies from the Idolsphere in a turn-based combat setting. Finally, we have details about the “Carnage Form”. 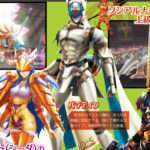 When borrowing power from their Mirages, Mirage Masters change form and wear majestic suits named “Carnage Form”. Battles become more intense as a result. Additionally, various costume changes are available.